With 15 minutes to go it looked like Conference side Tamworth were going to pull off a shock result when they took the lead at Carlisle United thanks to Stefan Oakes free kick. However it was not to be as the Lambs were denied thanks to Francois Zoko who levelled with 4 minutes to play. Then in the last minute Tamworth were denied a replay which they just about deserved on their 1st half performance when Manchester United Loanee James Chester struck the winner. Tamworth looked impressive in the first half and deservedly went into the break leading 1-0. However they failed to reproduce that form in the second half and paid the price for not taking their chances. The crowd at 3,599 was a little below what was expected but the bad weather undoubtedly kept many fans away. Carlisle after knocking 2 non league sides out face a tricky long trip to Torquay in round three. Spurs fans got an early X-mas present last night as their team comfortably qualified for the last 16 of the Champions League,out of what on paper was a tough group. The contest was effectively over by half time thanks to an early goal by Younes Kaboul and then Luka Modric hit the killer goal in first half injury time to leave the admittedly below strength Werder Bremen totally demoralised. Peter Crouch scored Tottenham’s third mud way through the second half and they finished the game in cruise control mode. They are joined by Inter Milan who scraped a 1-0 win against FC Twente (who will now drop into the Europa League) and if Tottenham can at least match Inter’s result in their final game then Spurs will top the group, theoretically giving them an easier tie in the last 16. Tottenham, Inter Milan, Shalke 04, Lyon, Manchester United, Valencia, Barcelona, Bayern Munich, Chelsea, Marseilles, Real Madrid, AC Milan. The final 4 places are still up for grabs, which will at least ensure some of the final games will be worth watching. Marseille booked their last 16 place with another emphatic win and given Chelsea have already won the group the two teams meeting in the final game is now somewhat academic. Marseille’s 3-0 win in Spartak Moscow was impressive and they will be tough opposition in the last 16. Chelsea secured the group by beating MSK Zilina 2-1 in a somewhat lackluster match. However given they had already clinched top spot it was probably understandable. There were no major surprises in the Scottish Cup 3rd round and only Buckie Thistle of the non league teams competing are through to round four, this largely due to them playing fellow non league side Bo’ness. Little Sunnybank’s courageous cup run came to a crushing end as they were hammered 5-0 by Ayr United. Their day was further marred when Williams Steel and Steven Bartlett were sent off leaving them with 9 men in the latter stages. The other Non League club still in with a chance is Threave Rovers who also threw away a 2-0 lead in front of a disapointing 429 crowd. The FA Cup Replays are out of the way now and here is the updated draw together with the expected kickoff times and dates so you can pop down and support the teams who could do with the money. We will be attending Carlisle v Tamworth although a 6-0 scoreline looks unlikely this time. Although 10 non league teams are left it will be a surprise if more than 3 or four make round three given the draw has not been too kind to them. Still at least Darlington or York will be in the hat for round 3 having been drawn against each other. We will be listening out for Swindon Supermarine’s result more in hope than expectation as they are the lowest ranked team still in the competition. Conference High Flyers AFC Wimbledon struck two late goals to finally sink a dogged Ebbsfleet United in their FA Cup 1st round replay last night. In a match which was a great advert for non league football Wimbledon took an early lead but two quick goals by Ashley Carew put Ebbsfleet into the lead, a lead they held until the 94th minute when Sammy Moore struck to force extra time. Then just as it looked like the game was destined to be decided by a penalty shoot out Moore struck again in injury time to send the Dons through. The crowd of 2,306 certainly got value for money in this one and Ebbsfleet will feel slightly unlucky having gone out thanks to two last minute goals. Still on the balance of play justice was done and League new boys Stevenage Borough will have their hands full in round 2 if Wimbledon reproduce this type of form. York City who are currently struggling in the Conference Premier produced arguably the result of the round in beating League 2 high flyers Rotherham United 3-0 in their FA Cup 1st round replay. York were god value for their win dominating possession and they restricted Rotherham to 2 shots on target in the whole game. York now face fellow Conference Premier side Darlington on 27 November, between two former Football League sides, also ensures that there will be at least one non-league club in round three. 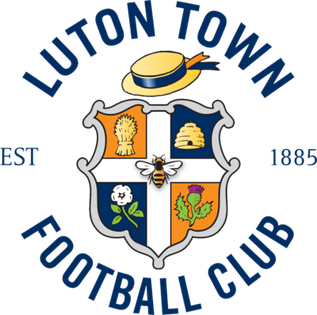 Luton Town had a much easier task at home to Corby Town and despite the scoreline were always comfortable having cruised into a 4-0 lead before easing off and allowing Corby to grab 2 late consolation goals. The attendance was a respectable 3,050 and Luton now face a tough trip to Charlton in round 2. None of the non league teams managed to win through in their replay’s last night although Cambridge United can feel a little hard done by as Huddersfield beat them 2-1 thanks to goals by Lee Peltier and Gary Roberts in the 91st and 94th minute. They wont even take much consolation from the disappointing crowd of 3,766, however their FA Cup run will have gained them some useful prize money. Woking managed to hold high flying Brighton but succumbed 3-0 on penalties in an entertaining match which had 36 goal attempts and attracted a great crowd of 4,193. Woking may have cracked at the end but they will take great heart from this performance and this may act as the catalyst which pushes them forward in the Conference South. The other non league losers Dratford, Fleetwood & Vauxhall Motors couldn’t manage a goal between them and unfortunately it doesn’t look like there is going to be a big giant killing story this season. The MK Dons lost 7-6 on penalties so we will have to wait a bit longer before they finally meet their old namesake AFC Wimbledon who they could have faced in round 2. The replay results are below. Sheffield Wednesday has a comfortable 4-1 win over Hartlepool in the Johnstone Paint Trophy last night to move into the Northern Semi Final leaving them two games away from a lucrative Wembley final which would be a big help as the club fights to stave off administration. The star of the show was Neil Mellor who hit a hat trick in front of a fairly impressive 10,909 crowd. They will now join Carlisle,Tranmere and Huddersfield in the Semi Finals.